SIALKOT (92 News) – Defence Minister Khawaja Asif has said that he has doubt over Muttahida Qaumi Movement chief Altaf Hussain being a Pakistani. 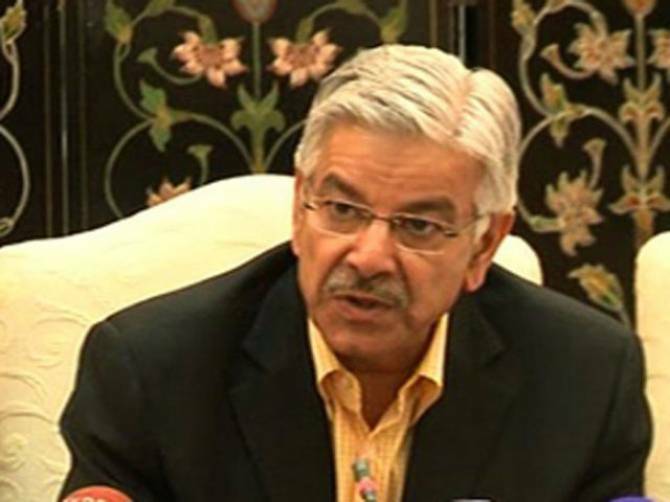 Talking to media at his residence in Sialkot on Sunday, Khawaja Asif said that a Pakistani never ask for help to enemy. He said that despite differences with the state institutions but the enemy should not be asked to help. Khawaja Asif further said that the Pakistan Army has made sacrifices to protect the country, adding that the sacrifices of the armed forces cannot be neglected. He said that India always blame Pakistan for its internal issues.